The family of the 21-year-old man allegedly shot and abandoned by the police at Pokuase on suspicion that he was a criminal, is demanding justice. 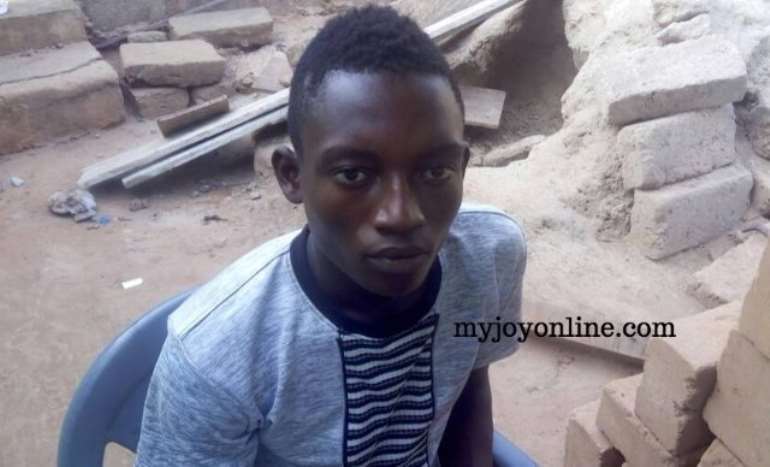 Mother of Jonathan Odai Laryea has asked the police administration to investigate the incident and punish the officer responsible for her son’s shooting. Mr Laryea has been left to his fate after he was shot on February 5, 2018, at 9 pm while on his way to buy food. The bullet is still in his right leg three weeks after the shooting. He narrated to Myjoyonline.com last week how he was stopped by two men who were not in police uniform on that fateful day. He disregarded them, he said. 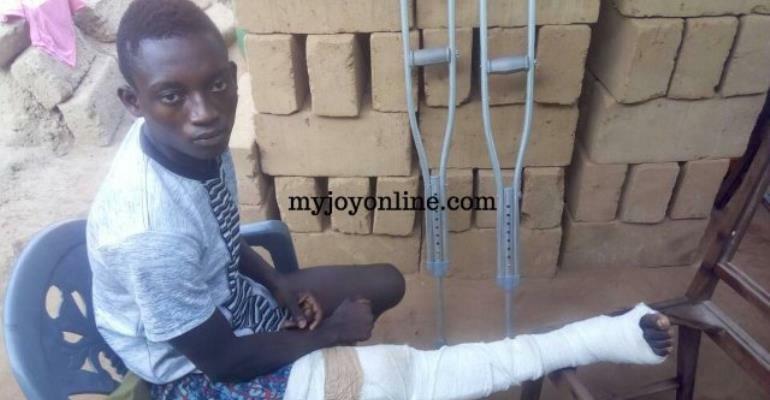 He was later to be shot by one of them and rushed to the Police Hospital at Osu in Accra. Mr Laryea was at the facility for more than a week before his family was contacted. The police have refused to pay for the operation to remove the bullet from his right leg since the incident. But Naa Aforkor Otu wants the police administration to bear the cost of her son’s operation because the family has spent all it has on him. "I sell in the market but my business is suffering because I have spent all the money I have on my son, including paying for her bills at the hospital," she said. Another family member, the grandmother of the victim wondered why the police will shoot her grandson if he was merely a suspect. 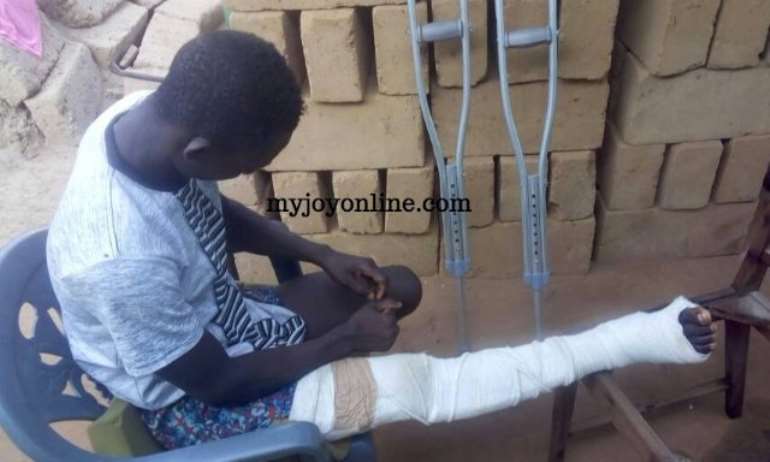 'When I visited him at the hospital, I was so angry and ask why the police will do that,' she told Myjoyonline.com , adding they have been struggling to raise the GHS5,000 for the operation. 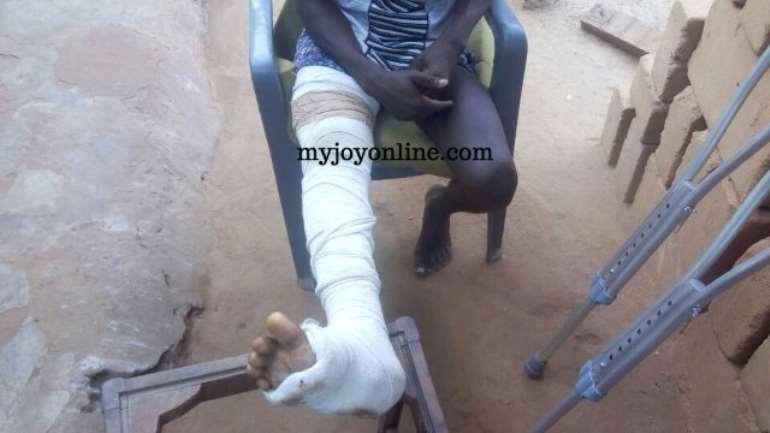 She has called on Inspector General of Police (IGP) David Asante-Apeatu and Interior Minister Ambrose Dery to intervene to ensure the safety of the victim.